A highly scattering porous ceramic sample is employed as a miniature random-scattering multipass gas cell for monitoring of oxygen content in opaque media, that is, wood materials in the present work. Gas in scattering media absorption spectroscopy is used by employing a 760 nm near-infrared laser diode to probe the absorption of molecular oxygen enclosed in the pores of the ceramic material working as the multipass gas cell, with a porosity of 75%. A path length enhancement of approximately 26 times and a signal-to-noise ratio of about 60 were obtained for the ceramic sample used in this work. The gas sensor was then used in a case study of the gas diffusion in wood materials, namely, oak, spruce, and mahogany samples. Differences depending on whether gas diffusion was studied longitudinal or radial to the tree annual rings are demonstrated, with very little gas diffusing in the radial direction. We can also observe that the gas diffusion for the densest material—oak—had the fastest diffusion time, and mahogany, which had the lowest density, showed the slowest diffusion time. W. S. Dalton and H. Sakai, “Absorption cell for the infrared spectroscopy of heated gas,” Appl. Opt. 19, 2413–2415 (1980). J. U. White, “Long optical paths of large aperture,” J. Opt. Soc. Am. 32, 285–288 (1942). D. R. Herriott and H. J. Schulte, “Folded optical delay lines,” Appl. Opt. 4, 883–889 (1965). A. Manninen, B. Tuzson, H. Looser, Y. Bonetti, and L. Emmenegger, “Versatile multipass cell for laser spectroscopic trace gas analysis,” Appl. Phys. B 109, 461–466 (2012). K. Krzempek, M. Jahjah, R. Lewicki, P. Stefański, S. So, D. Thomazy, and F. K. Tittel, “CW DFB RT diode laser-based sensor for trace-gas detection of ethane using a novel compact multipass gas absorption cell,” Appl. Phys. B. 112, 461–465 (2013). T. Svensson, E. Adolfsson, M. Lewander, C. Xu, and S. Svanberg, “Disordered, strongly scattering porous materials as miniature multipass gas cells,” Phys. Rev. Lett. 107, 143901 (2011). X. T. Lou, C. T. Xu, S. Svanberg, and G. Somesfalean, “Multimode diode laser correlation spectroscopy using gas-filled porous materials for pathlength enhancement,” Appl. Phys. B 109, 453–460 (2012). S. Svanberg, “Gas in scattering media absorption spectroscopy—from basic studies to biomedical applications,” Laser Photon. Rev. 7, 779–796 (2013). L. Mei, S. Svanberg, and G. Somesfalean, “Combined optical porosimetry and gas absorption spectroscopy in gas-filled porous media using diode-laser-based frequency domain photon migration,” Opt. Express 20, 16942–16954 (2012). J. Alnis, B. Anderson, M. Sjöholm, G. Somesfalean, and S. Svanberg, “Laser spectroscopy of free molecular oxygen dispersed in wood materials,” Appl. Phys. B 77, 691–695 (2003). M. Andersson, L. Persson, M. Sjöholm, and S. Svanberg, “Spectroscopic studies of wood-drying processes,” Opt. Express 14, 3641–3653 (2003). 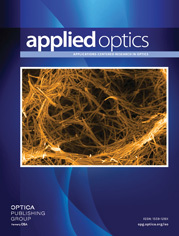 I. Bargigia, A. Nevin, A. Farina, A. Pifferi, C. D’Andrea, M. Karlsson, P. Lundin, G. Somesfalean, and S. Svanberg, “Diffuse optical techniques applied to wood characterization,” J. Near Infrared Spectrosc. 21, 259–268 (2013). S. Allaire, J. Lafond, A. Cabral, and S. Lange, “Measurement of gas diffusion through soils: comparison of laboratory methods,” J. Environ. Monit. 10, 1326–1336 (2008). R. Spicer and N. M. Holbrook, “Within-stem oxygen concentration and sap flow in four temperate tree species: does long-lived xylem parenchyma experience hypoxia?” Plant Cell Environ. 28, 192–201 (2005). X. Liu, S. Cheng, H. Liu, S. Hu, Z. Daqiang, and N. Huansheng, “A survey on gas sensing technology,” Sensors 12, 9635–9665 (2012). C. O. Cederlund and F. M. Hocker, eds., Vasa I: The Archaeology of a Swedish Warship of 1628, 1st ed. (Statens Maritima Museer, 2006). L. Mei, G. Somesfalean, and S. Svanberg, “Pathlength determination for gas in scattering media absorption spectroscopy,” Sensors 14, 3871–3890 (2014). M. Sandström, F. Jalilehvand, I. Persson, U. Gelius, P. Frank, and I. Hall-Roth, “Deterioration of the seventeenth-century warship Vasa by internal formation of sulphuric acid,” Nature 415, 893–897 (2002). P. Kluczynski, J. Gustafsson, A. M. Lindberg, and O. Axner, “Wavelength modulation absorption spectrometry—an extensive scrutiny of the generation of signals,” Spectrochim. Acta B 56, 1277–1354 (2001). L. Mei and S. Svanberg, “Wavelength modulation spectroscopy—digital detection of gas absorption harmonics based on Fourier analysis,” Appl. Opt. 54, 2234–2243 (2015). L. Mei, G. Somesfalean, and S. Svanberg, “Light propagation in porous ceramics: porosity and optical property studies using tunable diode laser spectroscopy,” Appl. Phys. A. 114, 393–400 (2014). G. Somesfalean, M. Sjöholm, J. Alnis, C. A. Klinteberg, S. Andersson-Engels, and S. Svanberg, “Concentration measurement of gas embedded in scattering media by employing absorption and time-resolved laser spectroscopy,” Appl. Opt. 41, 3538–3544 (2002). A. Crivellaro and F. H. Schweingruber, Atlas of Wood, Bark and Pith Anatomy of Eastern Mediterranean Trees and Shrubs: With a Special Focus on Cyprus (Springer Science & Business Media, 2013). J. Sorz and P. Hietz, “Gas diffusion through wood: implications for oxygen supply,” Trees 20, 34–41 (2006). A. Wiedenhoeft, “Structure and function of wood,” in Wood Handbook: Wood as an Engineering Material (Forest Products Laboratory, 1987), Chap. 3. Fig. 1. (a) Experimental schematic: the wavelength-modulated light from a diode laser is guided, in the first configuration (1), to the ceramic material of the probe through an optical fiber, and then the scattered light is detected in transmission geometry by a photodiode. The signal is then being amplified and sampled by a DAQ card. For the second configuration (2), light is delivered to the probe volume through an optical fiber, while the scattered light is collected by a second optical fiber and then transmitted to a photodiode. (b) Illustration of the ceramic that is here used as a random multipass gas cell. The laser light is guided through an optical fiber connected to the ceramic material. A silicon photodiode detects the transmitted light, and the signal is then sent to the DAQ board. (c) Illustration of the probe without the housing. Fig. 2. Cross section of the wood samples. From left to right: oak (ring-porous hardwood), spruce (softwood), and mahogany (diffuse-porous hardwood). Fig. 3. 2 f WMS signal measured at oxygen concentrations at 20.9% and 0%, respectively, using the random multipass gas cell. Fig. 4. Here the gas diffusion in the ceramic material is monitored. Initially, the ceramic is exposed to ambient air conditions, and then nitrogen is flushed until the oxygen signal is no longer observable. Thereafter, the ceramic is again exposed to atmospheric conditions, the oxygen concentration restores to the ambient level, and the value of L eq also comes back to the original level. Fig. 5. Directional dependence of wood. Here two cases are defined. Longitudinal (L) and radial (R) directions with regard to the tree lines are represented by the lines in the figure. Fig. 6. Comparison of the gas diffusion in spruce for different flow settings for flushing of nitrogen at a distance of 10 mm from the probe. Fig. 7. Gas diffusion measured in (a) oak, (b) spruce, and (c) mahogany for longitudinal and radial geometries. Fig. 8. Gas diffusion of spruce (a) for samples with the longitudinal and radial diffusion geometry, using fibers only. For spruce in a longitudinal diffusion geometry, diffusion times are τ 10 mm = 222 s and τ 15 mm = 228 s . No obvious change in equivalent path length is observed in radial geometry. The diffusion times are much longer than those found previously using the multipass gas cell. This difference in diffusion time could be due to difficulties with the sealing method, resulting in different gas exchange rates between the probe volume and ambient air during the measurement. (b) Comparison between the 2 f WMS signals obtained for measurements in spruce at atmospheric oxygen levels for the cases with and without probe. Fig. 9. Sketch over measurement geometries in consideration for future studies together with a sealing mechanism, such as a balloon, behind the probe. (1) L eq = L ref · S 2 f , abs S 2 f , ref . (2) f ( t ) = ( α 0 − α ) e ( − t / τ ) + α .